JOIN A VIBRANT ARTIST-RUN CENTER ! ► Pop-up events: Screening, talks ..
As a non-profit organization, Diagonale needs your support to continue to develop its mandate. A little contribution from you is a big thing for us. 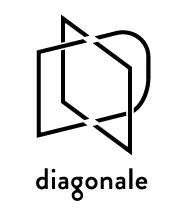 For only 20$, become a member of Diagonale and contribute to support all the activities initiated by artists and curators. Diagonale relies on the generous support of its volunteers in the realization of its programming activities. Calls are regularly sent out for help with various tasks such as exhibition installation, cultural mediation or gallery sitting. In order to best communicate your skills and interests, and to help us match you with our needs, please email us your CV.